Many times the biggest factor to consider when planning a kitchen remodel is budget. You may be surprised to see what a beautiful kitchen can be had for minimal expense. The best way to get your money's worth is to let our designers know your budget from the very beginning. Here is an example of a complete remodel on a tight budget. 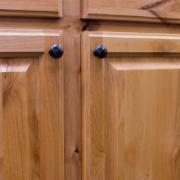 ​﻿American Heritage natural knotty alder cabinets, basic layout and standard hardware. 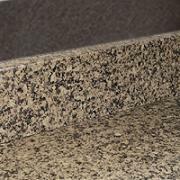 Top-ten laminate, one of ten color options, standard rolled edge and 4" backsplash. 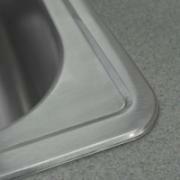 Top-mount stainless steel, 2-basin sink.